WOW! 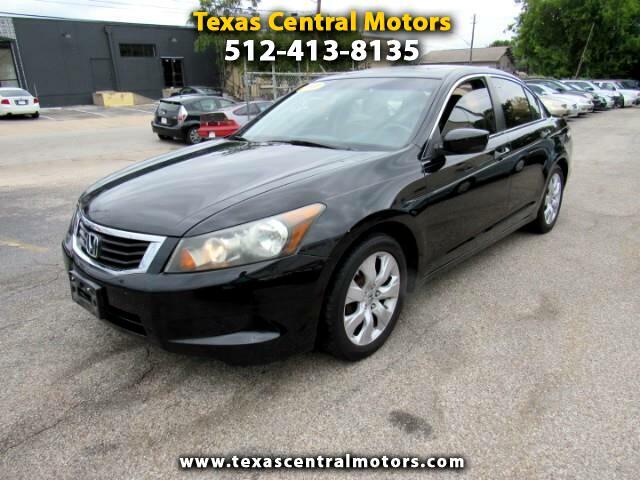 2009 Honda Accord EX-L leather, sunroof fully loaded! Runs and drives amazing. Interior very clean, body in great shape. Engine transmission very well kept and serviced. 2.4 liter engine great on gas but still has lot of pep. V-Tec engine. Clean title. Complete with alloy wheels, am/fm stereo, cd player, cd changer in dash, aux audio jack, ice cold A/C, dual climate control, power seats, locks, mirrors, windows, sunroof, floor mats, alarm, ABS, traction control, dual air bags, 2 side air bags, cruise control. Please stop by for a test drive whenever possible. We are open Monday-Saturday 9am-630pm. Contact Mike at 512-413-8135 for more info. Visit our website texascentralmotors.com for our entire inventory!